Buying a car at an auction can either be a good or a bad idea, depending on what you’re looking for, and whether you’ve done your homework and know what to expect. Car auctions have been around for a long time, and that in and of itself tells you that there have to be benefits to buying at auctions. After all, something that doesn’t work the way it should, at least most of the time, simply doesn’t last. On the other hand, there can be pitfalls. You could get the car of your dreams, or you could end up with a very expensive, non-operational driveway ornament. Here are some things to think about when considering buying your next car at auction. Realistically, you’re not just going to stumble upon the perfect car. You’re going to have to wait, and search, and search some more. It’s likely not just going to drop in your lap. On the other hand, if you’re looking for a good deal on a gently used vehicle, and you’re not stuck on a specific make and model, an auction can be a great way of getting your next ride. Unless it’s a visibly damaged car on offer, you can assume that the car on offer has been “prettied up” to look as good as possible. Keep in mind that a car that looks as though it just came off the assembly line isn’t necessarily in good working order. By the same token, a car that looks a bit shabby could be perfectly up to par in terms of reliability and mechanical soundness – it may just be that it was stolen and abandoned. Be careful about what you bid on, and keep in mind that with an auction car, it doesn’t matter how low the mileage and how good it looks – you’re not going to get a warranty. At an auction, whether in-person or online, many other people are going to be bidding on the vehicle you’re interested in. It may be tempting to get into a bidding war. So before you even start bidding, you have to set a limit. If the bidding goes beyond that limit, stop bidding. If you keep on bidding, you’re defeating the purpose of going to an auction in the first place, which was to get the car at a good price. Auctions offer limited payment methods. You can buy only if you have the money at hand, which means either cash or an approved car loan. If your credit isn’t good, you’re no more likely to be able to get a loan to buy a car at auction than you would to buy one at a dealership. 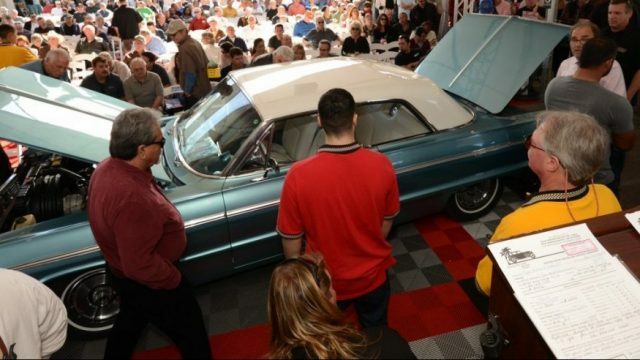 Unless you have enough cash to pay for your car, an auction isn’t going to help you get a vehicle cheaply. If you have a lot of money, you may be able to absorb the cost if you make a bad choice at auction, or if the repairs on the car end up costing more than you budgeted for. If you don’t have a lot of money to spend or if you’re not that knowledgeable in mechanical problems, it would be best if you have a mechanic friend who can inspect the car for you. Sometimes you can do this at a physical auction, but not if you’re buying online. Especially for people who are in tough financial straits, the idea of getting a cheap car at auction can be very alluring. You might actually end up with a really great vehicle that, under normal circumstances, you wouldn’t be able to afford. For a lot of auction buyers, though, that isn’t the reality. The temptation, too, is to go just a bit higher, even though you know better. 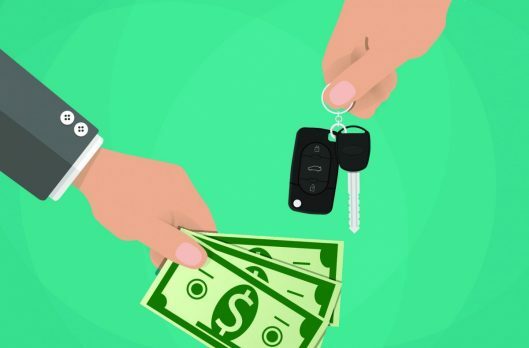 If you have doubts about your ability to handle a car auction, you might consider using a proxy bidder who will bid on your behalf, using no more cash than you’ve designated for the purchase. And be sure that your expectations are realistic.